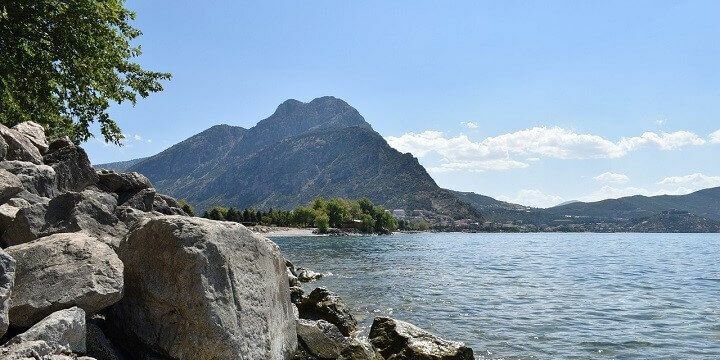 You’ve probably heard of Ankara, Turkey’s sprawling capital city, but very few tourists choose to explore the surrounding region of Central Anatolia. 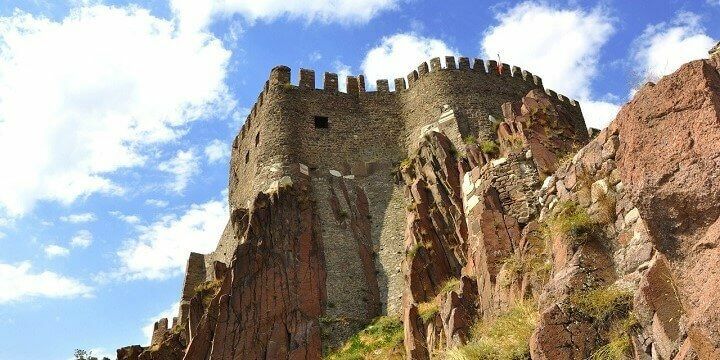 With a huge range of historic landmarks and natural beauty, it’s well worth exploring more of what this area has to offer! You could easily spend days exploring Ankara’s ancient sights. A must-see is the 7th-century Ankara Castle, which features traditional Turkish architecture and impressively high walls. The steep climb to the castle’s entrance is tough, but worth it for the spectacular views over the capital. Ankara Castle dates back to the 7th century. The Hisar Citadel is another fascinating spot. This Hittite site has a history spanning about 3,000 years, and is home to impressive gates, towers, and mosques. 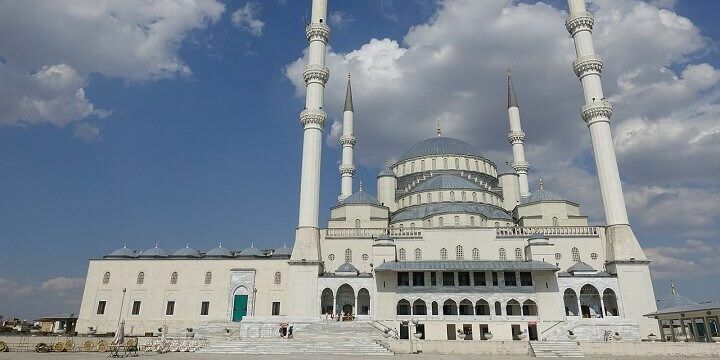 Speaking of mosques, don’t forget to visit Kocatepe, Ankara’s largest mosque. The building took around 20 years to complete and can now accommodate nearly 25,000 people and be seen from almost anywhere in Ankara. Kocatepe is Ankara’s largest mosque. After exploring the older sights, head over to the trendier financial district of Kizilay for designer shops, outdoor markets, bars, and nightclubs. Alternatively, relax in the large Genclik Park, with beautiful flower displays, a public swimming pool, soothing water features, and an open-air theater. Ankara isn’t the only important ancient sight in the North of Central Anatolia. 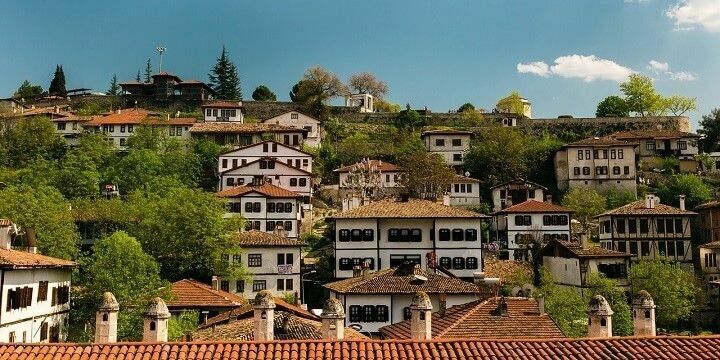 Don’t miss out on Safranbolu, where time really has stood still. Explore the authentic Ottoman houses before trying the town’s delicacy: saffron! Amasya, meanwhile, is famous for the ancient Pontus Kings’ Tombs: 18 rock tombs carved into limestone hills overlooking the city. It also has several hamams (traditional Turkish baths), where you can relax after exploring the area. 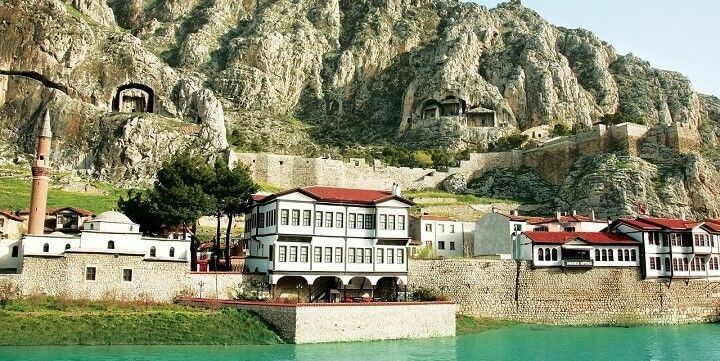 Amasya is famous for the ancient Pontus Kings’ Tombs. Alternatively, check out Sivas, which dates back to 2,600 BC. Its main sights, however, are much newer. The beautiful Ulu Camii mosque, for example, was completed in the early 12th century, while its largest hamam, Kursunlu, opened in the 1500s. Head further south to find the stunning Goreme National Park. The 96-square-kilometer park is located in a volcanic mountainous region and hosts plenty of unspoiled natural beauty, making it a perfect spot for ecotourism. 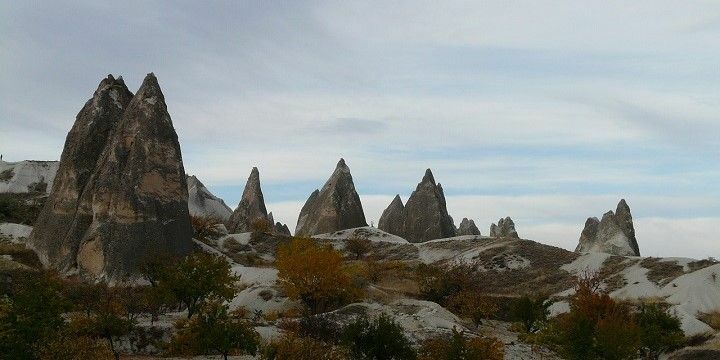 Its main highlights are the unique rock formations, known as fairy chimneys, that have been formed by wind and rain erosion. Goreme National Park is known for its unique rock formations. Plenty of animals call this park home, including coyotes, badgers, and bats. It also hosts gorgeous greenery, including juniper and honeysuckle. The most popular lakes in the Turkish Lake Region include Aksehir, Beysehir, Acigol, and Egirdir. The latter is the most-visited, thanks to the quaint town with the same name, where many ecotourists choose to base themselves during their time in the area. It also marks one end of the famous St. Paul Trail, a 500-kilometer-long hiking and cycling route which starts at Perge. Egirdir is part of the Turkish Lake Region. Skiers, meanwhile, will love the peaks of nearby Davraz, while swimming enthusiasts can burn some calories in the 482-square-kilometer lake. If NextStop24 helped you to choose your next travel destination, we'd be very grateful if you’d search for your accommodation and things to do in Turkey through these links. They're affiliate links, which means that we will receive a small commission for every booking made through them. There are no extra costs for you; you'll simply be helping to keep NextStop24 running. Thanks! Be sure to discover more than the capital city. The national parks and lake region are great for outdoor enthusiasts.